The casino offers a generous but somewhat confusing matched deposit scheme to new players. 100% of the first deposit will be matched up to. £400 and 100% of the second and third deposits will be matched up to £300, making a total potential deposit bonus of £100 available to players. The variety of slot machine games offered on Spin Casino is huge and has the potential to be somewhat bewildering to new players. Most newbies will probably find themselves making a fairly random choice when it comes to what game to play. Options in the table games section are simpler to understand. All games at the casino can be played on a modern and up to date web browser on almost any device. It is also possible to play using an app which can be downloaded to Windows Phone, Android and iOPS devices, making it simple for players to continues games on the go. Spin Casino offers a range of deposit options. Visa and MasterCard credit and debit cards are supported, as well as the Maestro debit card which is still popular in continental Europe. PayPal is not supported but a wide range of online wallet services, such as the ever popular Neteller, are on offer. 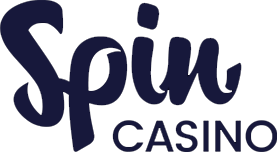 All of the deposit methods at SpinCasino are also available for withdrawals. This means it is possible to send money straight back to your credit or debit card or into one of the many online wallet services that it supports. Unlike some gaming sites, PayPal is not supported by Spin Casino. Spin Casino’s language options are more limited than some other casinos. Services are available in English, German, French, Spain and Portuguese. It is possible to use online translation services to translate the English website into another language if you do not speak one of the languages that Spin Casino offers. Bets can be made in either pound sterling or euros depending on the location that you are connecting from. Matched bet bonuses tend to be slightly higher in sterling due to current currency fluctuations but this does not justify paying any currency conversion fees that you might face for playing with pounds. Spin Casino games can easily be played on desktop and tablet devices as well as mobile phones. The casino offers bespoke apps for the Android, iOS and Windows Phone platforms. The range of games that is on offer is huge and will be able to keep any casino fan occupied for years. Support is available 24 hours a day on every day of the year. There is no telephone support option but queries can be submitted by email or via the live chat system that is hosted on the casino’s contact us page. Responses to email queries tend to be speedy and efficient.